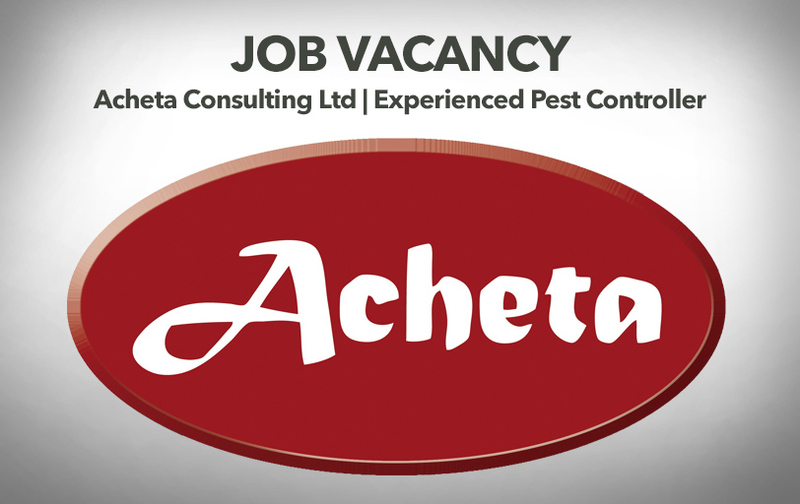 Acheta Consulting Ltd provides independent pest management inspection and consultancy services to the food industry. We are looking to recruit at least one additional team member Our perfect candidate will be based close to the southern half of the M1, or M11, or in the Bristol/ Gloucestershire area, and will ideally be experienced in inspecting warehouses and food-manufacturing sites. However, we are prepared to invest in a less experienced person who has what it takes to develop. Requests for flexible/ part-time working would be considered. For a confidential discussion about the position call Mark Bowron on 07908-575813. Error: Error validating access token: Session has expired on Sunday, 17-Feb-19 03:23:39 PST. The current time is Thursday, 18-Apr-19 22:20:52 PDT.